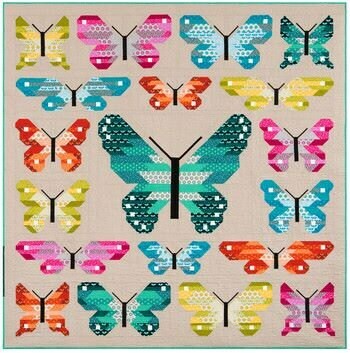 The Lepidoptera Quilt Kit features the Paintbox Basics fabric collection by Elizabeth Hartman for Robert Kaufman Fabrics. Quilt Size: 83" x 83"
Kit contains enough fabric to make the large sampler quilt. Batting and Backing fabric not included.